Avoid paying for expensive lesson plan books by just printing your own from this template and place in a three ring binder. 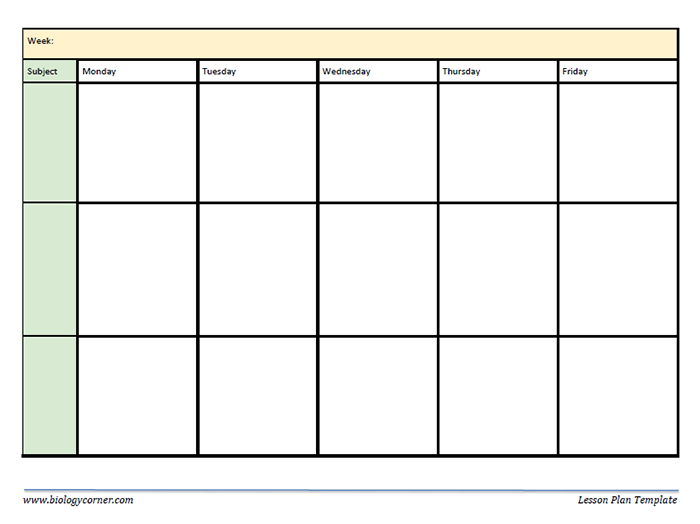 This version has space for three subjects and each day of the week, print in landscape. Save the Google Doc version to your own drive if you want to edit it, like adding new subjects or other data fields.